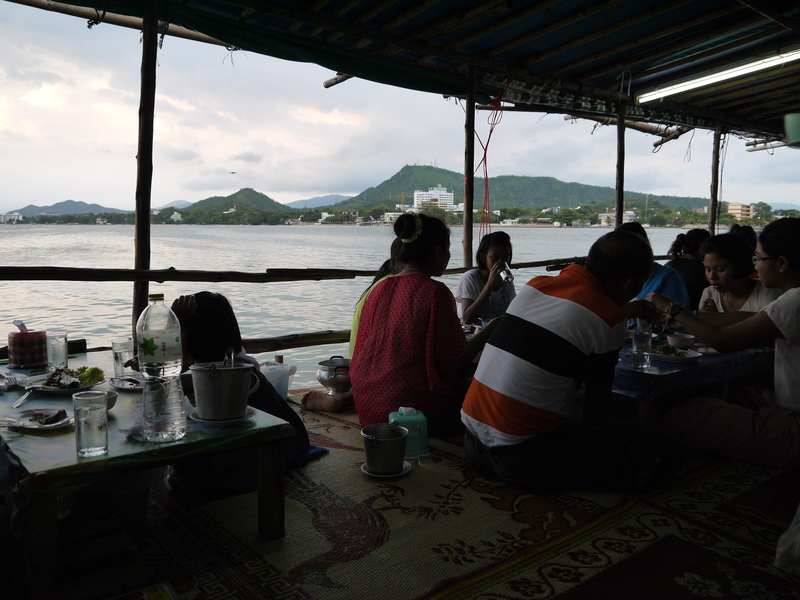 Over the Songkran holiday we stayed in the small seaside town of Si Racha. It is a quiet town and has a sleepy feel (even during Songkran). We quite liked the quiet and it made for a very relaxing 4 day break, for us spending time by the sea just seems to have that effect on us. Being by the sea means that fresh seafood is easy to find. 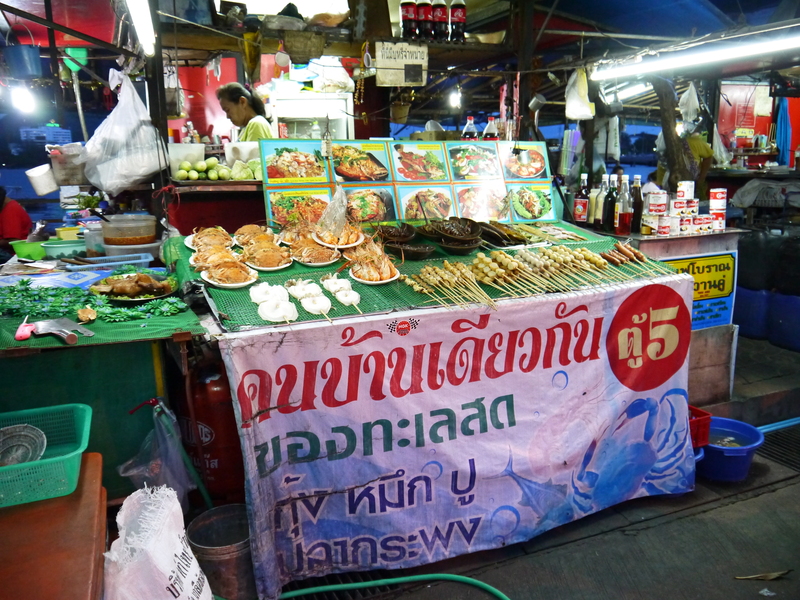 We ate out at lots of different places during our stay but quite enjoyed the seafood stalls located on the small island of Koh Loi (connected to the mainland by a concrete jetty). Koh Loi is a very small island but is a popular tourist attraction because of the temple located there and the ferry landing for Koh Si Chang. Koh Loi even has a pond filled with large turtles – we felt a little sorry for them as they were covered in mossy algae and the water was quite green. Back to the seafood… there are a whole bunch of seafoods stalls at the end of the jetty near the parking lot – very hard to miss. They all have their seafood on display – looking fresh and delicious. We had spent the afternoon on Koh Si Chang and arrived back at Koh Loi just before sunset. So we got to sit near the sea and watch the light change. It was beautiful to watch – I think next time we’ll try and go when it isn’t a holiday weekend and maybe we’ll get to sit next to the sea. 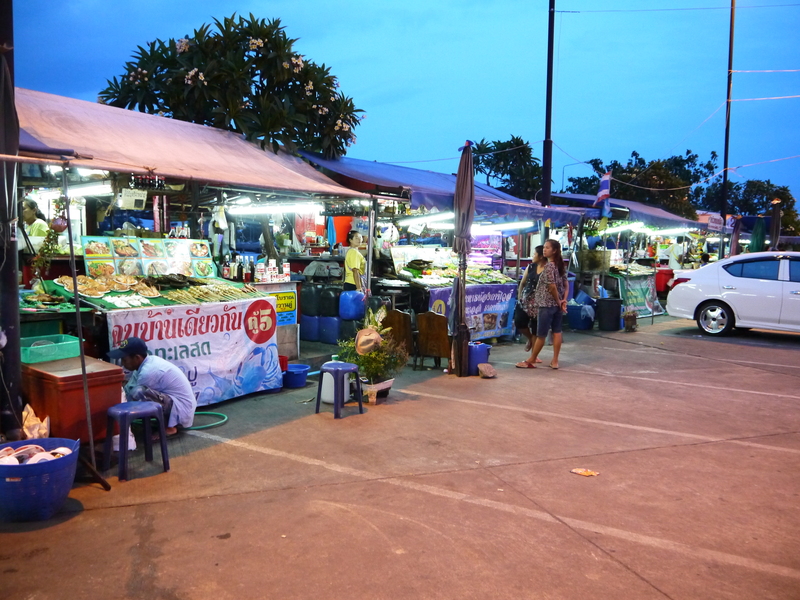 All the stalls were quite busy with Thai families out for dinnner. Watching the sunset by the sea while we eat dinner. Most of the stalls have menus in English and if not they have good pictures of the food so just take a leap and pick at random. 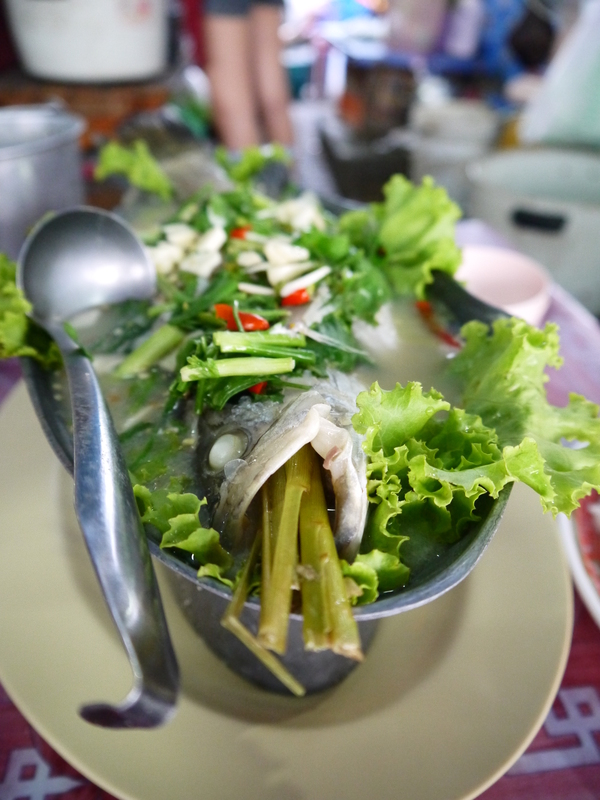 We chose a steam fish stuffed with lemon grass and covered in herbs and chili. 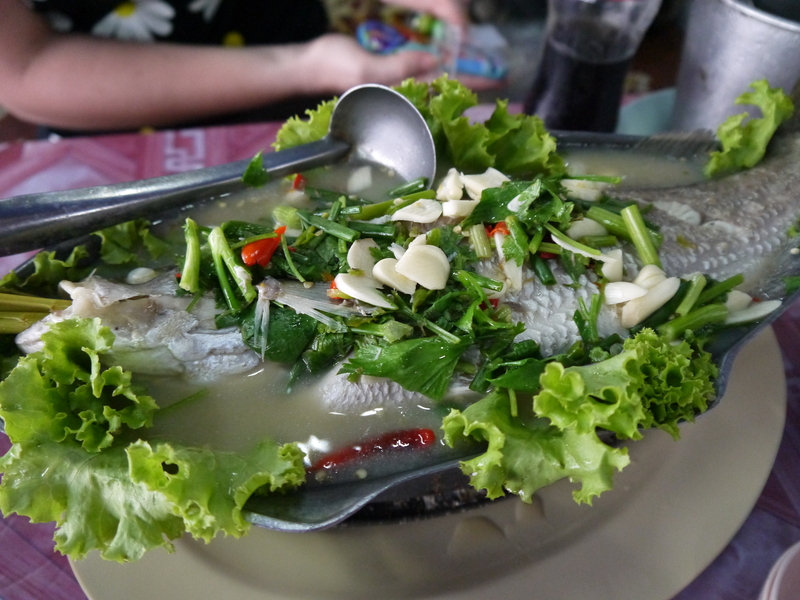 It was probably one of the best fish we’ve had in Thailand so far. It was absolutely delicious!